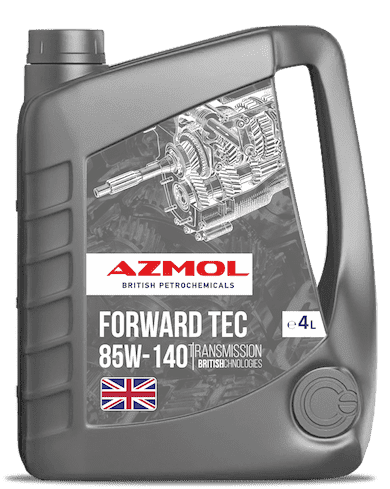 AZMOL Forward Tec SAE 85W-140 – mineral gear oil recommended for use in hypoid gears, hub reducers, gearboxes, PTO (power take-off shaft) and differentials where API GL-5, MIL-L 2105-D and Mack GO-G.
AZMOL Forward Tec 85W-140 contains special additives that form a protective oil film for optimal corrosion protection. The 85W-140 viscosity grade has excellent low temperature fluidity for optimum performance at any time of the year. exceptional thermal stability and resistance to high temperature oxidation.